Credit cards can get you into a tight bind if you’re not careful about how you use them. Frivolous spending is something you need to watch out for. Some of the best ways of avoiding to get into credit card debt is by limiting or totally eliminating the use of credit cards. If however, you find that you are unable to do this, it is important that you are watchful because it is very easy to fall into credit card debt. How do you realize that you are starting down the slippery slope of getting into credit card debt? You use the credit card for everything. If you find that you pay for every purchase using your credit card, then you need to take a step back. Every time you run the credit card you’re attracting fees that will add on to the overall cost of the money you will pay back. The rule is very simple; if you cannot pay for whatever you are purchasing from the money you have in cash, consider forgoing it. When drawing up a budget, only have what you need on the list. Forget about wants because these are items you really do not need. Also seriously consider having an emergency fund so that you do not use your credit card for emergencies. When you use one card to pay off another. If you find that you are transferring money from one credit card to pay off the amounts you owe on another credit card, then you are in trouble. Make sure that you’re on top of your credit card payments and avoid transferring amounts between the different credit cards. If you also find that you’re skipping payments because you have to take care of other issues then it means that you are living beyond your means and are not able to handle your debt well. Do not be like an ostrich that buries its head in the sand, you have to check what your credit card statements are because even if you avoid looking at them, they still exist and you will still have to make the necessary payments. 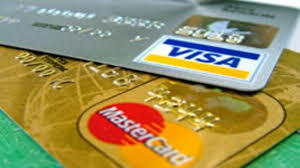 Every time you use your credit card, you are incurring debt. If you do not have a plan in place on how you will make the payments, you’ll find that you’re falling behind and are incurring heavy penalties. When you draw up your budget, make sure you factor in how you plan to pay this debt. You max out your credit cards. When you max out your credit cards, you are clearly in the red zone because now you’re in debt. It all comes down to making unnecessary purchases and using your credit card for all the payments. 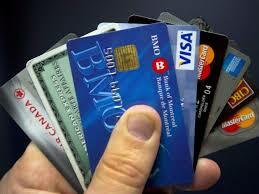 Credit cards can provide protection against not having money on the days you really need it. However, you need to be strong enough to stop depending on your credit card. If you cannot do without one, you should consider not having it on your person at all times, learn to leave it at home so that you do not think about spending money you do not have.